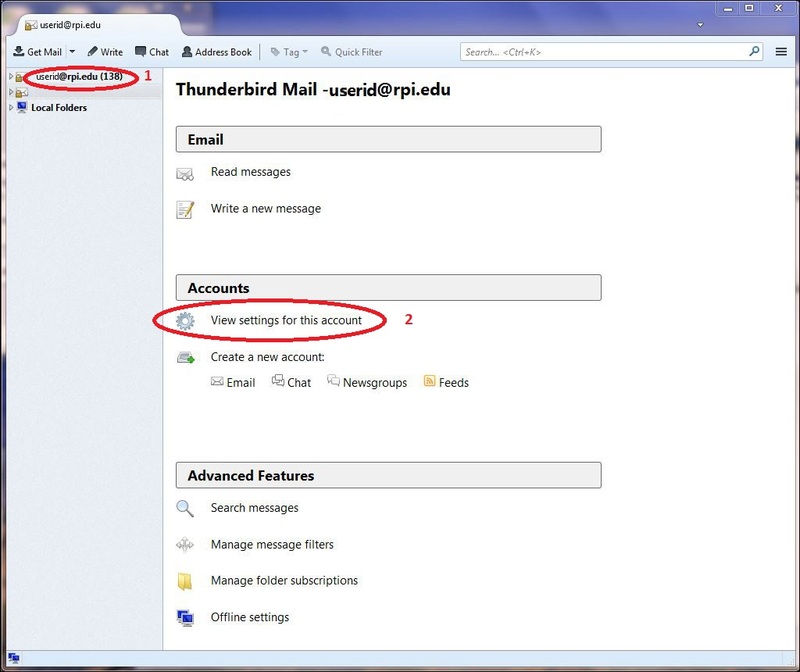 To check your server settings, 1) select your RPI email account from the left, then 2) select "View settings for this account". 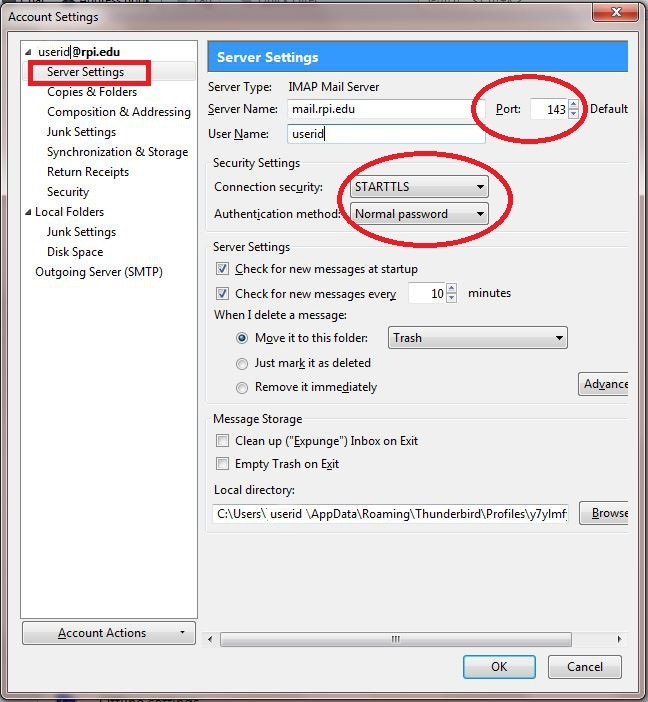 From the menu on the left, select "Outgoing Server (SMTP)". 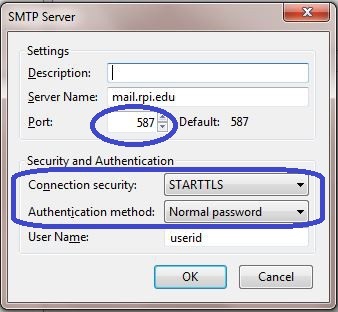 Compare your settings (Server Name, Port, Authentication Method, Connection Security) to those shown below. 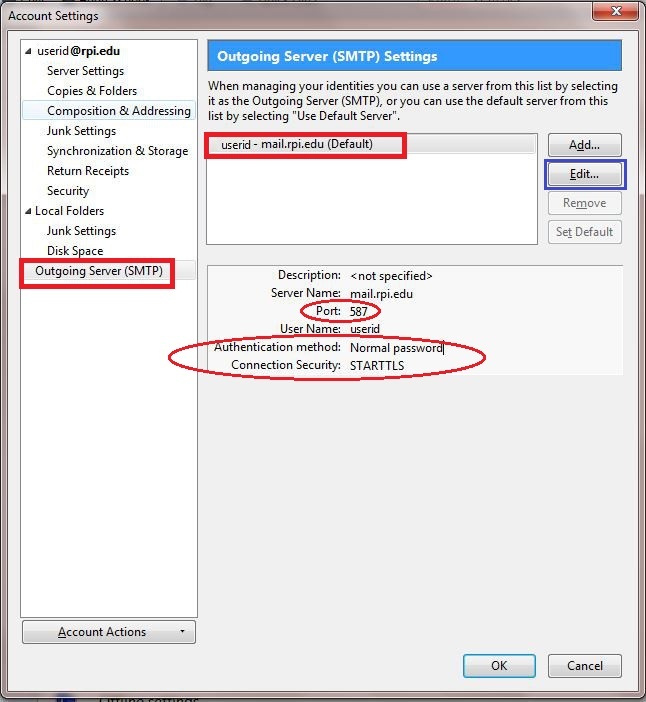 If they match, your server settings are correct. Click "OK". If they do not match, click the "Edit" button.